Meet Serah Katusia – one of the 2018 Loeries Media Innovation category judges. 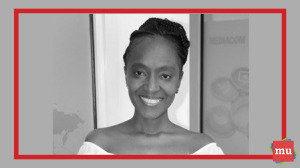 Currently working as the managing director of Mediacom Eastern Africa, we find out her thoughts about the Loeries and why she has a passion for media. media update’s Aisling McCarthy chatted to Katusia about the upcoming Loerie Awards and the Media Innovation category. Katusia spent over 10 years working in the advertising industry before settling into a job in media. During her time in ‘Ad Land’ , she worked for brands all across Africa, including Central Africa, Ethiopia, Ghana, Kenya, Mozambique and Tanzania. She also works as a lecturer at the International School of Advertising, which allows her to drive media excellence – something she is passionate about. “I love the knowledge gained across categories, but media is my heart. Driving system thinking with media as the lead is the core of what I do at Mediacom,” she says. Having worked in the advertising industry for so long, what made you want to settle into a career in media? After a while of moving up and down, [a job in] media felt like home. I love the fast-paced way we work, the innovations we can drive with new media and the new era of big data. [Even] more so, [I love] the fact that, with Mediacom, I get a chance to plan and think across the system with both content and connections. As a woman in a leadership position, what characteristics do you think are necessary to succeed? [The most important thing is] passion. You have got to love what you do. [You also have to] strive for excellence daily. And lastly, [you need] grit. The ‘staying’ power is the only way to succeed. And yes, it is hard sometimes, but being positive and having a winning mindset is a personal choice [that sets people apart]. What do you think marketers in Africa have to offer that marketers from other continents do not? [Marketing in] Africa offers the opportunity to use both digital and mobile, due to the high penetration of mobile across the continent. With innovations like Mobile Money and M-PESA, we have seen the continent light up in economic inclusion. Marketers are now more challenged than ever, as mobile has become the 5th revolution, for both the millennial as well as the rural farmer. What are you hoping to see from the 2018 entries in the Media Innovation category at the Loeries? I am really looking forward to seeing the best of Africa [in terms of] what our media agencies have done with the opportunities open to us with data and new media interaction. I am positive that it will thrill me! What is the best advice you could offer to a young creative just starting out in the industry? Love the game – you’ve got to. [Also, it is vital to] master one thing, excellently, [to set yourself apart]. The Loeries is all about awarding exceptional work within the advertising world. Find out why one of the judges believes that rewarding young creatives is so important by reading our article, #Loeries2018: Toufic Beyhum – The importance of awarding students.